International hacker group Anonymous is going to create a WikiLeaks competitor scandalous leak portal called Tyler, for the publication of secret information from governments of various countries. One of the group’s members, who specified that he is representing the collective, spoke about the TYLER project and the rift with WikiLeaks in an email interview with the Voice of Russia. They have scheduled this new project to December 21 this year. According to the hacker, who requested anonymity, the conflict between Anonymous and the website of Julian Assange revolves around the forced funding techniques and lack of transparency around money to WikiLeaks. 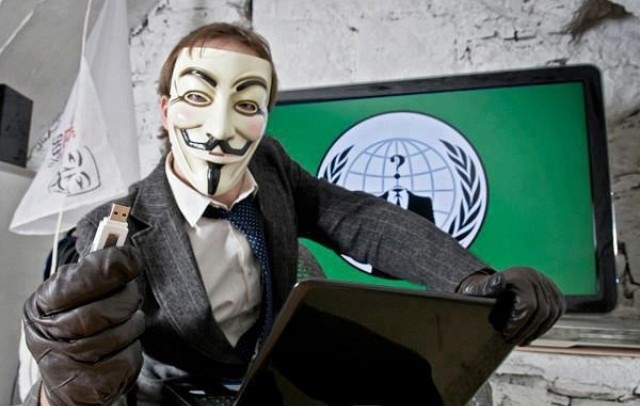 So far Anonymous defends WikiLeaks and Assange personally and supported the mission of the site to share information, news and classified information with the public. They even helped to publish more than 2 million emails, known as the Syrian file. Since Assange has repeatedly threatened to close the WikiLeaks, hackers have decided to create their own platform for publishing secret government documents. According to Anonymous, Tyler will be a unique service project, as it will not have fixed the server - it will be based on the principle of decentralized or peer to peer network based on the equality of participants. Hackers claim that the attack or close the platform due to this will be impossible. In this case, it is unclear whether the hacker to interview to Russian media reflect the views of the entire community of anonymous or its individual fragments as haktivistite not acting in an organized group with a recognized leader.